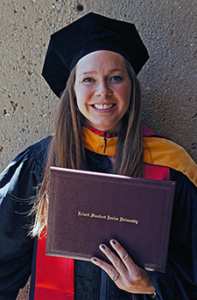 Megan D’Errico successfully defended her PhD thesis at Stanford University. Megan’s thesis is titled: Heterogeneity and Depletion of the Mantle Assessed from Abyssal Peridotite Geochemistry. Congratulations Megan!